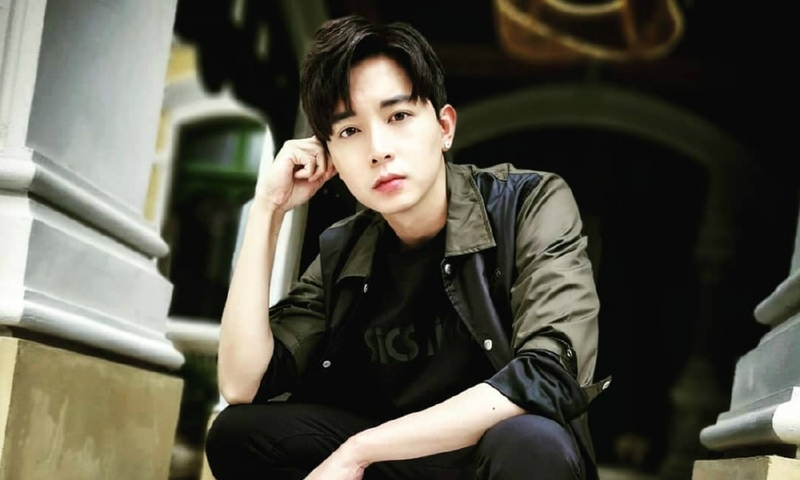 SINGAPORE: Popular actor Aloysius Pang died yesterday, four days after sustaining serious injuries while taking part in Exercise Thunder Warrior in New Zealand. In a statement on Wednesday night, the Ministry of Defence (Mindef) said that Corporal First Class (National Service) Pang died at 8.45pm (Singapore time) at Waikato Hospital in New Zealand. The 28-year-old was an operationally ready national serviceman with the Singapore Armed Forces (SAF) and an armament technician from the 268th Battalion Singapore Artillery. He sustained injuries to his chest and abdominal areas while carrying out repair works inside a self-propelled howitzer with two other personnel at the Waiouru Training Area at about 2pm, Singapore time, on Saturday. Mindef said only that he sustained the injuries "when the gun barrel was lowered". "He was evacuated to Waikato Hospital, a regional trauma centre where he underwent a number of surgeries to treat his injuries," the ministry said in the statement. "Dr Teo Li Tserng, chief of trauma and acute care surgery at Tan Tock Seng Hospital, was flown in to assist the New Zealand medical team tending to CFC (NS) Pang. Mindef added that an independent Committee of Inquiry will be convened to investigate the circumstances leading to the incident. A press conference will be held today to present the preliminary findings and it will be chaired by the Chief of Defence Force Melvyn Ong. The SAF will be making arrangements to bring back Pang's body to Singapore. "The Ministry of Defence and the SAF extend their deepest condolences to the family of CFC (NS) Pang and will continue to render assistance and support in their time of loss," Mindef said. Following the incident on Saturday, Pang was evacuated by helicopter to Waikato Hospital in Hamilton, New Zealand, where he underwent surgery that same evening. He had abdominal surgery as well as a follow-up “relook operation” on Monday. TODAY understands that he had part of his intestines removed, but Pang was said to be stable and “breathing on his own”. On Wednesday morning, the Ministry of Defence said that his condition was critical after taking a turn for the worse on Tuesday night, when he had his third surgery. On Wednesday afternoon, Defence Minister Ng Eng Hen said in a Facebook post that Pang was in “very serious” condition and needed artificial life support of his lungs, kidneys and heart. • Pang started acting at the age of 9 and was once nominated at the 2003 edition of the Star Awards in the Young Talent Award category. • He quit acting at the age of 14 when the pressure of fame led him to a phase of rebellion. • In 2012, he returned to acting, starring in the Singapore film, Timeless Love. • In 2014, Pang was crowned one of the “8 Dukes of Caldecott Hill” which comprised eight promising young Chinese Mediacorp actors of the 2010s. • He was named Best Newcomer at Star Awards 2015 and became one of the Top 10 Most Popular Male Artistes at Star Awards 2016. • In 2017, Pang chose not to renew his contract with Mediacorp but continued to film for the company on an ad-hoc basis. • He was cast as the male lead in the upcoming Channel 8 drama My One in a Million, but the role will be recast. Filming is due to start in February after the Chinese New Year break.